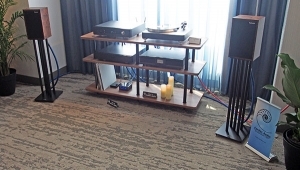 I had forgotten how dynamic Avantgarde's Uno XD speakers ($32,000/pair) could sound, coupled with a fine delicacy that was in evidence on an SACD track by Jenn Chapin (daughter of Harry Chapin), where Ms. Chapin was palpably placed in the center of the stage, with a double bass on the right and a baritone saxophone on the left. 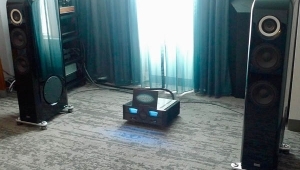 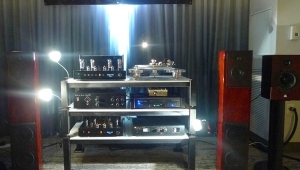 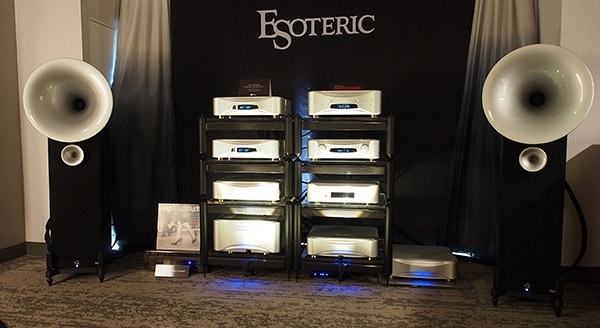 Electronics were all from Esoteric: the new Grandioso P1X SACD transport ($50,000) feeding DSD data to two of Esoteric's new Grandioso mono DACs ($50,000/pair), these all clocked from an Esoteric Grandioso Rubidium Master Clock ($26,000). 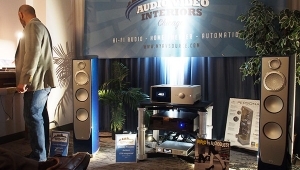 The transport uses a new mechanism and the D/A processor a fully discrete DAC topology with 64-bit processing.